Public consultation on this land took place on 19 January 2017. A further presentation was given to members of the NDG and residents on 8 February 2017. 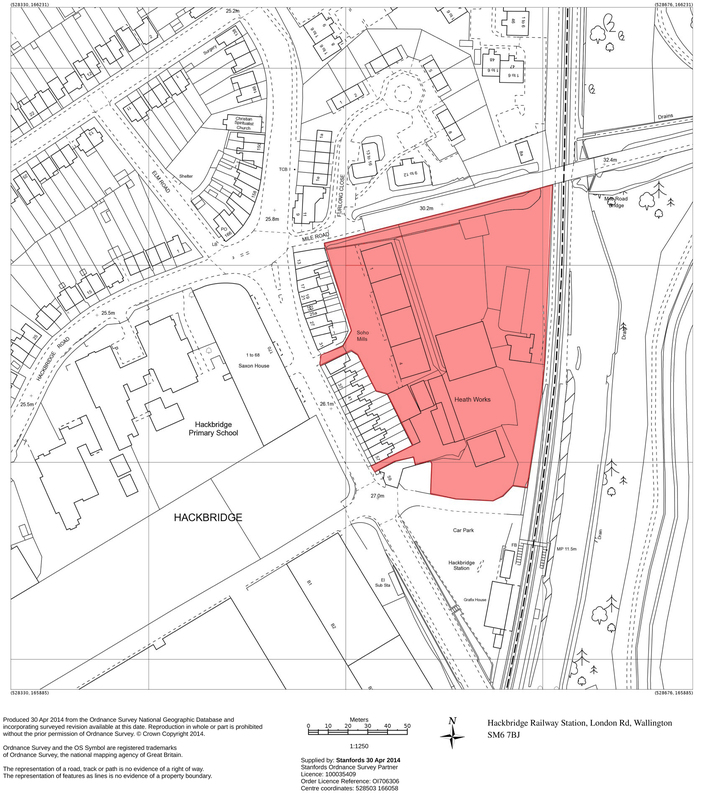 The current site allocation according to Sutton Council’s Local Plan 2009 is 60 units and retention of 30% employment land. 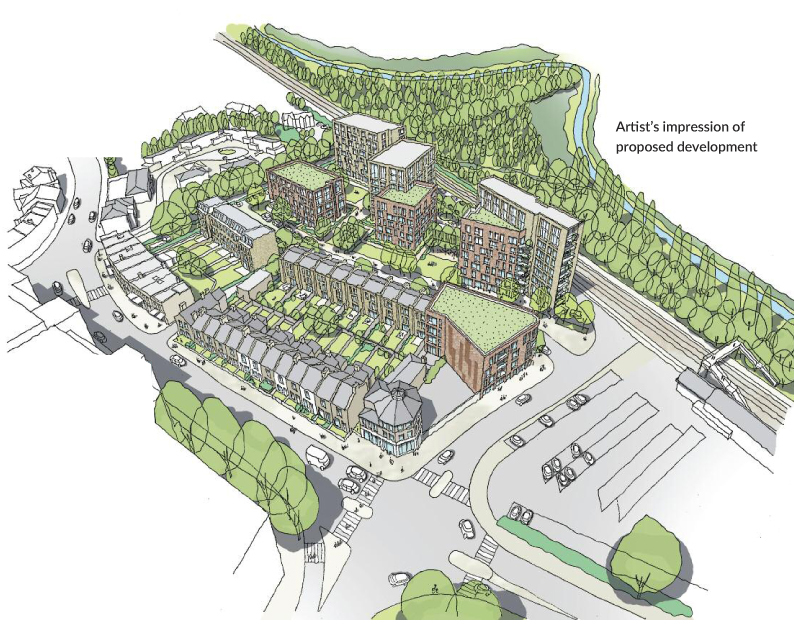 Sutton Council’s Local Plan 2031 is currently out for consultation and the site allocation has now changed to 204 units and no mention of keeping employment land. It is also a taller building location of up to 10-storeys. Whilst the NDG are aware of the current housing crisis, the proposal for this site is a clear one of over development with its 12-storey ‘landmark’ block and not within the keeping of the suburban area. Although Hackbridge is located in a London Borough of Zone 4, it is not Sutton or Croydon and will only become a district centre once Lidl has been built and open. It should be noted that back in 2015 there was public consultation on this land from a different group, but what is blatantly clear is that not all landowners seem to want the same thing. Below are details from a consultation in September 2015 for the land by a different speculator, but has not progressed forward. On 15 September 2015 consultation took place to show residents proposed plans for the land north of Hackbridge Train Station. The site map shows that the land does not include Hexagon House where Toni Bridal currently is. It is a complex site with nine different land owners and the speculator does not have agreement from all the land owners to develop this site. The NDG’s comments on the original design were fed back to the speculator after meeting with them in August 2015. We were grateful for this first meeting where we could see their ideas evolve. From what we can tell, not much changed from this design to the one shown at the consultation, apart from the 9-storey building nearest to Mile Road, was original down as 7-storeys. The Developer’s presentation of the proposed development shows you more detailed plans of the area and artists impressions. The NDG submitted further comments to this presentation and currently await responses to both. Is this what you want to see in Hackbridge? Will it respect the local character? Are the building heights too tall? What does it deliver to the existing residents? When arriving by train, what feel will the development create? Does it take into consideration it is being built in the Wandle Valley Regional Park?